What is THC and what benefits does it give to cannabis users? THC or Tetrahydrocannabinol, acts like our naturally cannabinoid chemicals created by the body, and effects the receptors located in the brain which are responsible for thought, pleasure as well as coordination and time perception (makes sense now the couch lock and loss of time ) So which plants can deliver as much as possible of thus precious elixir? Here are Top 1o of The highest THC cannabis seeds that we picked as being outstanding, please note that these levels are the max every recorded. Chem Dog 32% THC. This puppy goes to show flowers can really reach unimaginable levels leaving people wondering how high can they actually go!? In 2016 High Times Cup event the Chem Dog was the new THC record holder. Veiled in mystery about the exact heritage the original source came from famous parents, Sour Diesel and OG Kush, so you get a traditionally diesel aroma that is recognisable from far, she is very potent and will give you a heavy body experience that will literally leave you speechless! Nova OG seeds contains 35.6% THC. The Nova is an Indica dominant Canadian LP Tweed version of the pennywise and has an equal ratio of CBD as well as CBD so you can get a great combination of effects for pain as well as anxiety and is great for both a happy daytime lift as well as a relaxing evening chilling and unwinding. It has a mellow spicey earthy taste with a peppery undertone. Chiquita Banana 33.5% THC. Taking Banana OG to a whole new level the Chiquita Banana gives you an explosive head rush high that spreads throughout your body relaxing you all over but without sedation, its a great option for those sufferers who feel that they have built up a tolerance level as this will smash through it and continue to give therapeutic effects for chronic pain as well as nausea. She has a sweet almost citrusy flavour, very fruity, if not particularly Banana flavoured. Godfather OG 34% THC. Living up to its legendary name the Godfather will take command of those in pain as well as sufferers of Insomnia as it has some heavy sedative properties. With a grapey spicey taste, not recommended for beginners you are hit high and hard and you will be couch locked within 20 mins, but however very happy to be there, and later wanting some serious snacks available to munch on! So a great strain for chronic pain, insomnia, appetite loss as well as high anxiety when you need to just shut off negative though patterns and travel to a happy place. Super Glue 32% THC. 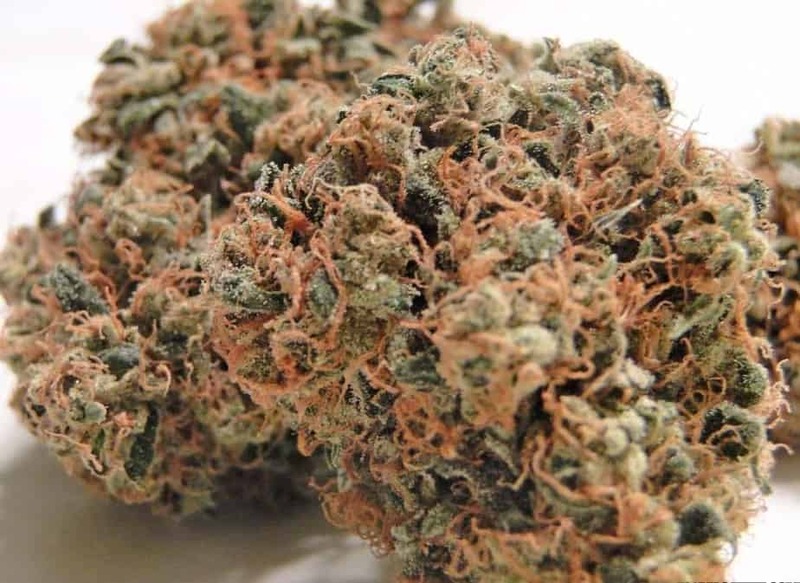 A powerhouse combination of Skunk and Northern Lights, Super Glue is a bit of a rare find and more of a black market strain, it has an earthy flavour with a spicey skunk undertone and is said to be great for depressions as well as pain control. Reviewers have said that it not only gives a high level of pain relief for joint issues but also for nerve pain such as shingles. They say that the ash given off is very pure white and therefore a good signal of being clean and flushed. It gives off a real heavy skunk smell so no mistaking what you are using, not a discreet smoke! Strawberry Banana 31.62% THC. This fruity baby will wash you all over from brain to balls of feet with a sense of calmness both mentally and physically, the Strawberry Banana is a tasty mix of Banana Kush and a Bubble Gum so as you can guess its majorly sweet and mouth watering with a slightly herbal hint. Don’t be fooled into thinking she is all innocent candy, as she is potent and can end up leaving you with red eye and paranoid if you overuse. A great strain for concentrates as its absolutely covered in Trichomes and you can gain a lot of kief if you use a 3 chamber grinder. Pink Starburst 31.49% THC. A delicious sativa dominant strain the Pink Starburst will literally get your mouth watering with its candy fruit flavour, but don’t get carried away as you quickly will get a strong head rush leaving you buzzing and clear minded, as well as motivated and euphoric. She is a fruity mix of DJ Shorts Blueberry/Headband a Sour Diesel BX3 strain. Great for treating those needing relief from headaches, chronic stress as well as eye pressure and glaucoma. Redeye OG 29.69% THC. A pure Indica the Redeye is good for night use as you will feel fully relaxed to the point that you are happy to just chill and enjoy the feeling of being strain and stress free, and will send you to sleep easily as she has highly sedative capabilities, leaving you with (obviously) redeye if overused, as well as cotton mouth. A good strain for muscle spasms, insomniacs as well as nausea. It’s a sweet piney taste and with a little fuel. Ancient OG 29.65% THC. A real true og dominant strain which was based on an 1970 Iranian landrace, the Ancient OG is a high yielding bush with loads of small tight buds with a nice load of crystal covered trichomes. She has an earthy kush taste with a citrusy kick leaving you with an off the chart cerebral rush and euphoria, making you want to be creative as you will feel clear headed and focused. Good for appetite loss as you will get some serious munchies, as well as those who need a lift to get them out of depression or take their minds away from depressive thoughts and anxiety. Wedding Cake 29.24% THC. Also known as Pink Cookies, Wedding Cake is a cross of a Cherry Pie and famous Girl Scout Cookies and depending on the phenotype don’t expect it to taste of cake but more of a creamy sour candy, which is still equally appealing and a little unusual. She will give you chunky buds and a high level of trichomes, and when dried you can smell the Skunk heritage coming through from its OG Kush grandparent. Don’t expect a mellow smoke as its quite acrid and sour on the inhale but will leave you with a creamy exhale. It’s a quick hitter and suddenly you will feel like you are very clear minded and aware of your surroundings, great for philosophising with friends in a park taking in the sounds and smells.